Having a completely automated system is awesome, but using different apps or hardware to control each individual device is annoying and time consuming. A central hub to control all the entertainment systems and home automation system will make your life much more simpler, and definitely more elegant. The Logitech Harmony Ultimate Home control kit connects to your home automation system, making it easier to control every device with just one remote. The key secret lies in the use of a clever hub box called the Home Hub, which acts like a traffic cop, and routes commands from the universal remote (or the app on your phone) to various devices in your home using infrared (IR), Wi-Fi or Bluetooth wireless signals. And the super cool thing is you can group a bunch of commands under a single button click – e.g. close the curtains, dim the lights and power up the home cinema system – which could make you look rather silky smooth! The hub connects to your Android or iOS smartphone via Bluetooth 4.0 technology. 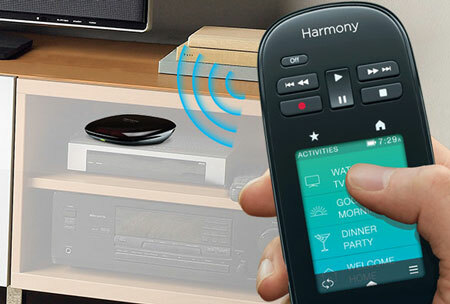 The free dedicated Harmony app lets you manage any number of entertainment and home automation device like streaming media boxes, games consoles, TVs, smart thermostats, lighting systems, and door locks, etc with just one click. 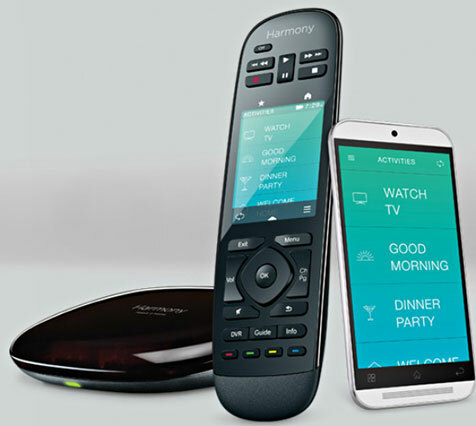 The Logitech Harmony Ultimate Home is available for $349.99 via Logitech.